Townhouses are not always what we imagine when we picture luxury and glamour. Still, in a time where economy, environment and space become increasingly challenging, they offer large possibilities of nesting and a unique charm where each space is thoughtfully used. This townhouse in Kensington-UK is the perfect balance between industrial and cosy. A collaboration between Michaelis Boys Architect and Suzy Hoodless proves that townhouses can be family houses of style. The tiles used are handmade by Popham Design. The natural black, grey and off-white tones of the cement tiles increase the comforting and welcoming feeling of that house. 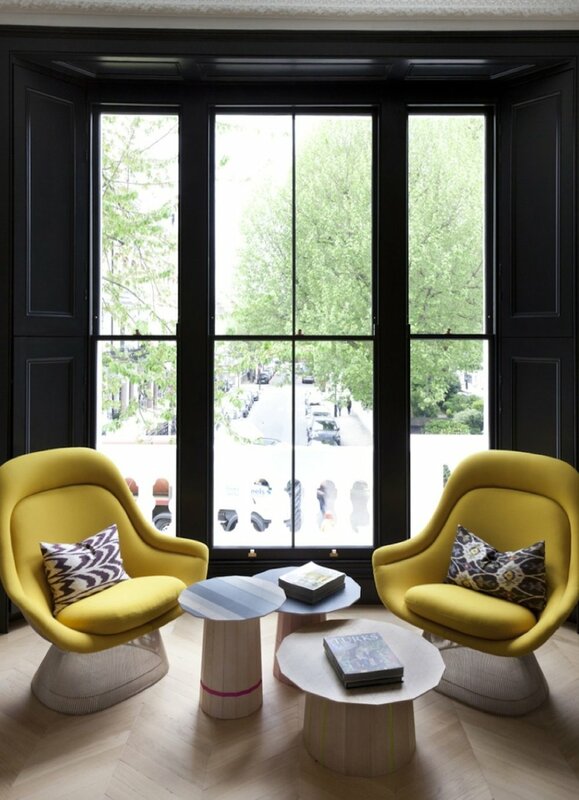 The oak flooring installed in herringbone and touches of colourful furniture awakens the cosy atmosphere of the house. The office at the entrance of the house announces the gray and black tones that punctuate the decoration of this house. On the floor, the Hex Arrow from Popham Design brings a beautiful flow to the room. On the floor of the main bathroom, the Lantern model from Popham Design echoes the large black window frame and the black fittings. 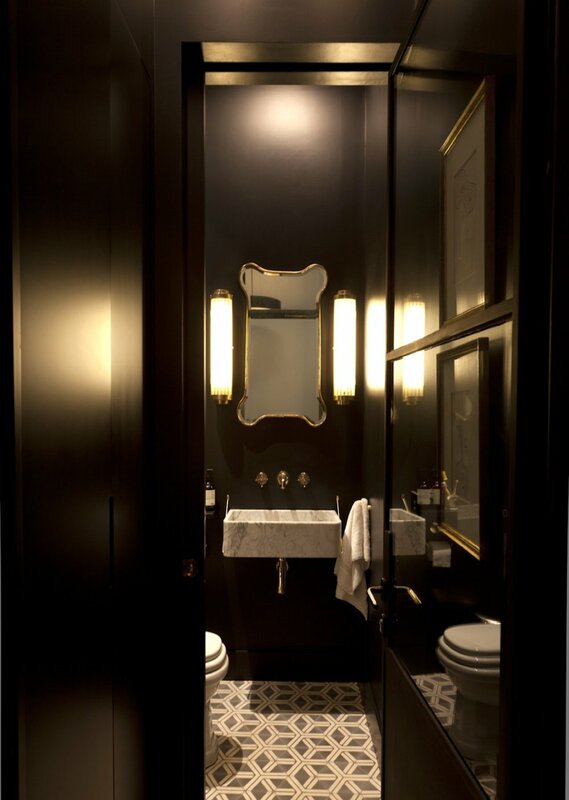 The powder room becomes glamorous in black and golden touches. Linking the hallway and the study, the Hex Arrow brings the final touch to the space.